A fun aspect of comic books is that sometimes their covers combine to make an even larger image. Here’s a look at some connecting covers. The realm known as Limbo was heavily featured in many X-Men comics during the 1980s. However, its name was a bit suspect since another domain called Limbo looked quite a bit different (this realm was associated with the Space Phantom who debuted in Avengers #2). 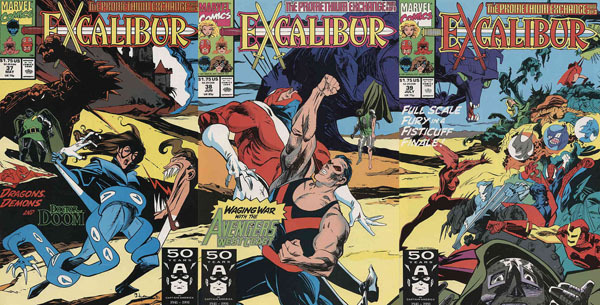 In Excalibur #37-39, the X-Men’s “Limbo” began to be known as Otherplace. Jeff Lemire brought Sweet Tooth to an end with issue #40. 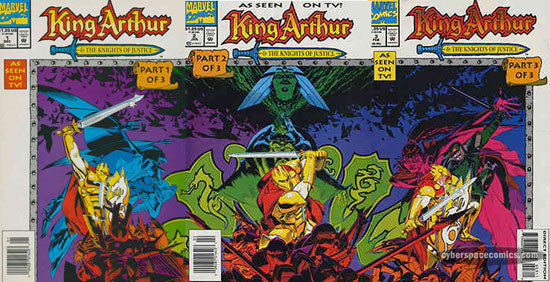 The four issues prior to that utilized a connecting cover design. 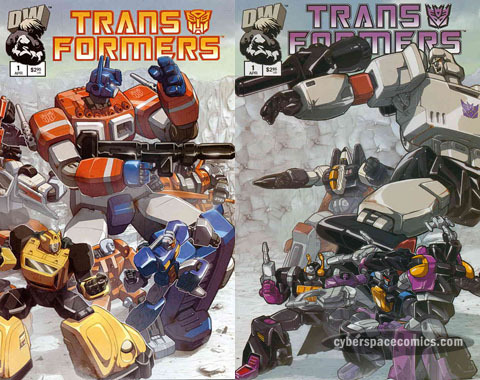 Dreamwave’s 2002 launch of Transformers: Generation One proved successful enough to warrant a second mini-series (and later, a third). As an incentive to buy both variants for each issue, each set combines into a larger image. Here’s a look at vol. II #3. Markosia acquired the license to Starship Troopers in 2006. The variant covers of issue four connect to form one image. 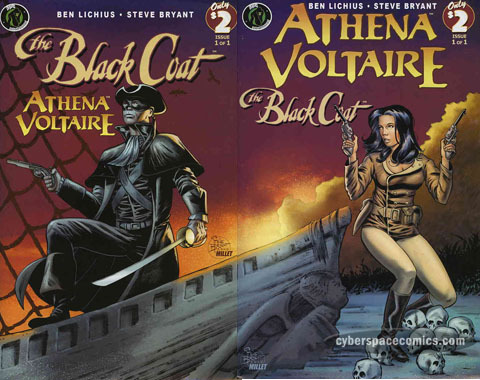 In 2009, Ape Entertainment released a comic series teaming up the Black Coat with Athena Voltaire. 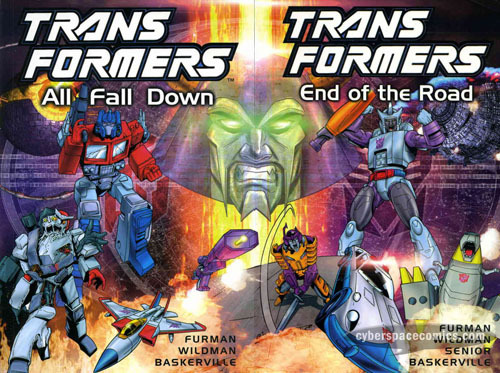 Dreamwave’s 2002 launch of Transformers: Generation One proved successful enough to warrant a second mini-series (and later, a third). As an incentive to buy both variants for each issue, each set combines into a larger issue. Here’s a look at vol. II #2. Dreamwave’s 2002 launch of Transformers: Generation One proved successful enough to warrant a second mini-series (and later, a third). As an incentive to buy both variants for each issue, each set combines into a larger issue. Here’s a look at vol. II #1. Markosia acquired the license to Starship Troopers in 2006. The variant covers of issue one connect to form one image. In 1992, Avi Arad created King Arthur & the Knights of Justice – a cartoon series that combined the legends of Camelot with American football! It only lasted a season and a half but it spawned a Super Nintendo game and a Marvel Comics mini-series. In 1984, Marvel Comics debuted a Transformers mini-series that proved so popular, they extended it into an ongoing series. One that lasted for 80 issues! Twenty years after it first hit stands, Titan Books (a UK publisher), reprinted this series in fourteen individual collections. Every two collections can be combined to make one image.